This is a biography of the author’s grandfather, Fred Courtice, MLC (1883-1956). After crossing the Blue Mountains (1813) a light came into Gregory Blaxland’s life and he was given a son (1817). The boy grew strong and went into the wilderness with cattle – into the Burnett River country – where he was killed in 1850, leaving his own son, who he named after his father’s friend, Sir Joseph Banks. But no-one told little Joseph who he was or how he came. In the same year, 1850, an ancient family fell down in Devon, leaving five year old Francis – who also came to the Burnett River without telling anyone who he was. 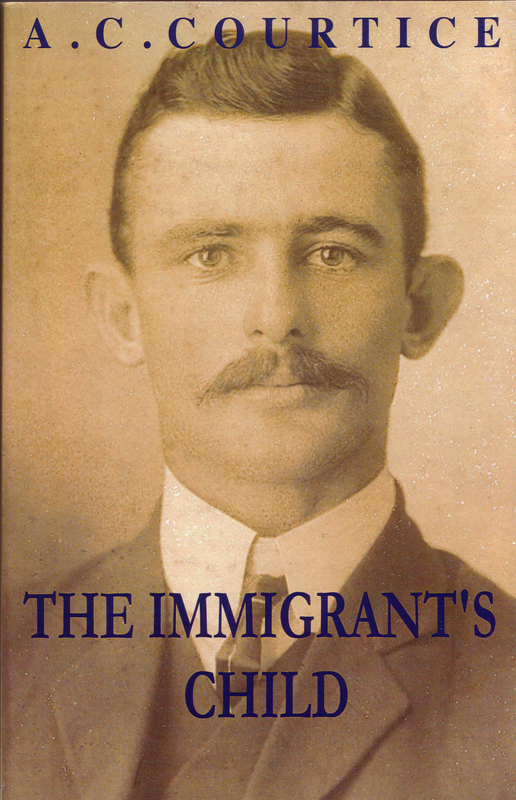 His son Fred becomes The Immigrant’s Child – who grew up and married Joseph’s daughter Mary Lillian. Published 2011. 234 pages, illustrated paperback. Payment is by the secure PayPal service, including by credit card if you don’t have an account.